If you want to feel like a real Russian or Soviet hero load one of these belters and brave WWII or Moscow’s apocalyptic underground. In the alternative universe of the Red Alert series Adolf Hitler never came to power and WWII didn’t happen. Instead, Western countries faced a new mighty enemy - Joseph Stalin. The player can choose which side to play for – the “villain” Soviet Union that dreams of conquering Europe, or the Allies who defend the “free world” from the aggressor. The game has several sequels. 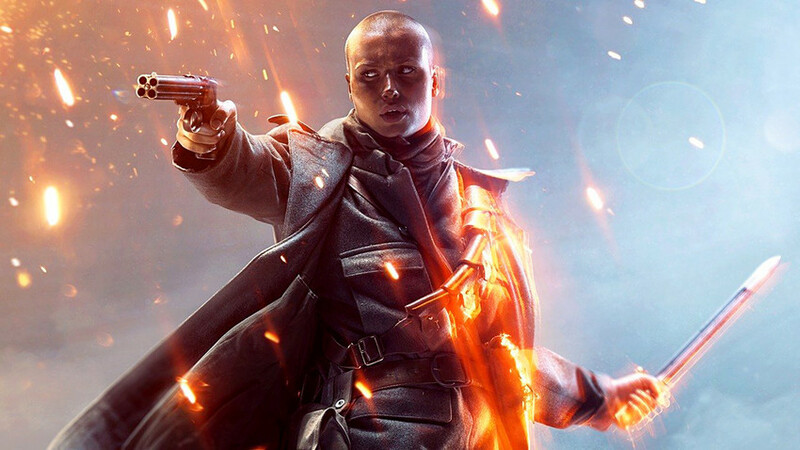 In this expansion of the first-person shooter Battlefield 1, you can feel what it’s like to be a Russian soldier in the middle of WWI, to hunt down German enemies with a lance, and fly the world’s first four-engine bomber. Player can also participate in the brutal and ruthless battles of the Russian Civil War between the Reds and Whites. The other game that drags players in the chaos of the Russian Revolution and Civil War belongs to the famous Assassin’s Creed series. Released in 2.5D, Assassin’s Creed Chronicles: Russia follows Nikolai Orlov who must steal an artifact from the Bolsheviks and save Grand Duchess Anastasia Romanova, daughter of Tsar Nicholas II. The Russian character named Zangief has been a permanent fixture of the Street Fighter series for almost 30 years. This massive fighter is a patriot who always fights for the glory of his country. Players of this first-person shooter can participate in two of the USSR’s most critical battles of WWII. In the first you can control an untrained rookie on the outskirts of Moscow in the decisive battle for the Soviet heartland. The other campaign drags him to destroyed Stalingrad, where the fate of the whole war was decided. The game is based on the famous novel going by the same name by the Russian writer Dmitry Glukhovsky. Nuclear war has turned Moscow reduced to ruins and forcing the survivors to seek salvation in the capital’s subway. Here they start a new life, find new “cities” and even “states”, and wage wars with each other. The main menace is not people though, but masses of mutants who try to break into Moscow’s underground world. If you’re a vintage video game fan you definitely should try playing this 30-year-old number. Karnov follows the adventures of Jinborov Karnovski, an ex-circus strongman, originally from the Soviet Union. This is a typical arcade Mario Bros-type game involving killing monsters and collecting treasure. In this real-time strategy game you can play for the Soviet Union, which in 1989, suffering heavy economic difficulties and on the eve of the collapse, decided to solve all its problems by invading Western countries and starting WWIII. Sergey Dragunov - aka The White Angel of Death - first appeared in the Tekken fighting video game franchise in its fifth instalment, and has been a permanent member since. Commander of the Russian spetsnaz squad, he is a fierce and experienced fighter. Cossacks 3 (2016) is the remake of the Cossacks: European Wars real-time strategy from 2001. It drags a player into the European events of the 17th and 18th centuries with one of the campaigns being devoted to Russian history. On the way to turning Russia into a superpower, one should crush its traditional enemies, such as Poland, Crimean Khanate, the Ottoman Empire, and Sweden. Would you survive a dystopian robot war in an alternate Soviet history?